Immersive gameplay deserves the sound to match. 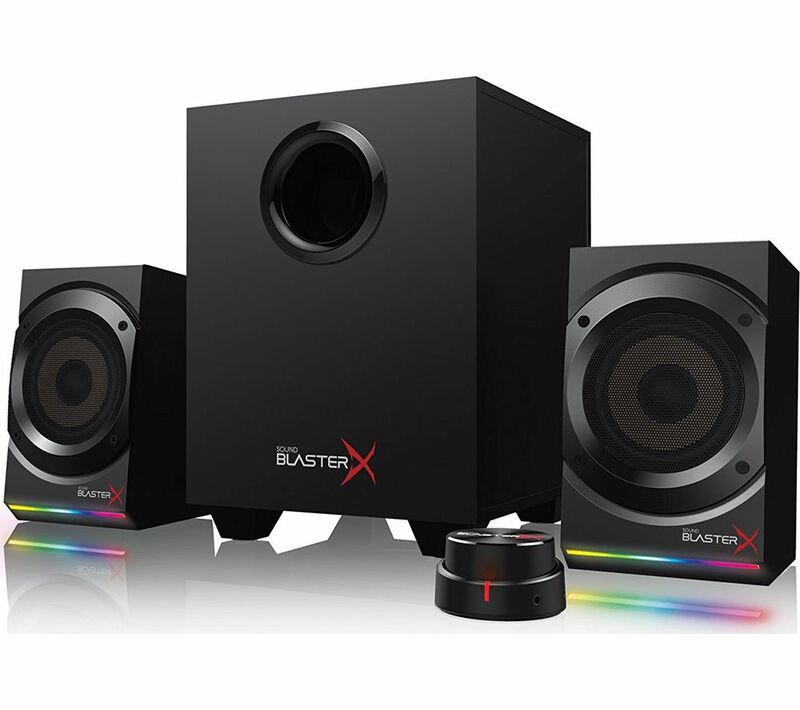 The Creative Sound BlasterX Kratos S5 2.1 PC Speakers deliver true audio fidelity when hooked up to your PC or Mac via USB. Whether you're playing your favourite game or rocking out to a party playlist, it all sounds great. 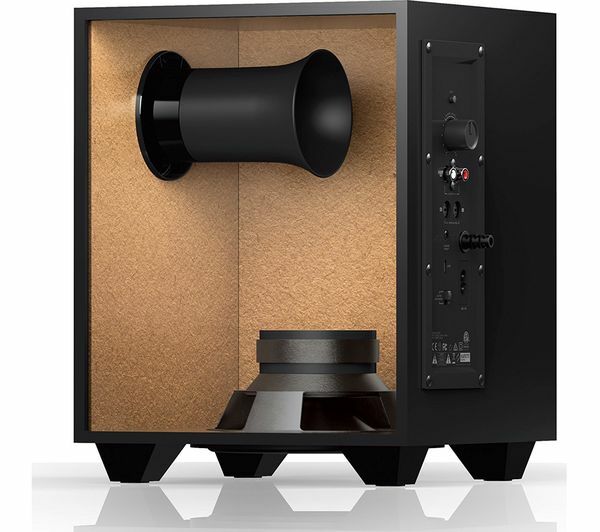 And because each enclosure is made from wood, you get a fuller, warmer, and more natural sound than plastic-based designs. 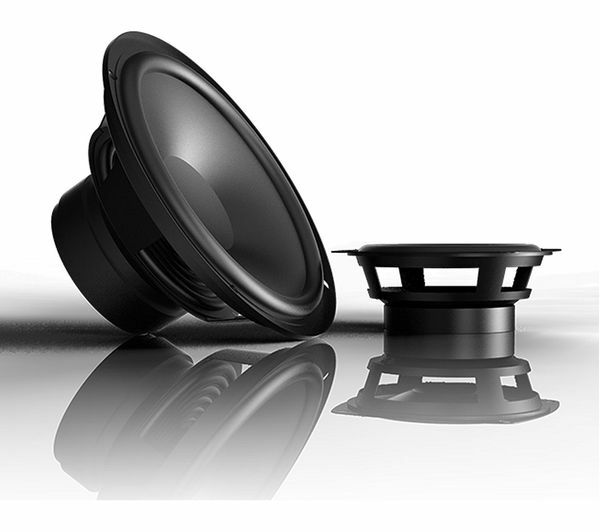 The satellite speakers produce clear highs and detailed mid-range audio, while the down-firing subwoofer provides deep bass. You'll hear every sneaky footstep and feel the rumble of explosions during gameplay. Light up your game with the Aurora Reactive lighting system. With 16 million fully customisable colours and six presets, you can create the ideal atmosphere with colourful lights and ambient enhancements. Adjusting the volume is effortless with a super easy-to-use control pod. Whether you want to go louder or quieter, it's simple to control with just the touch of your fingertips - no messing around with settings. It's also got a handy jack for connecting your headset and microphone. 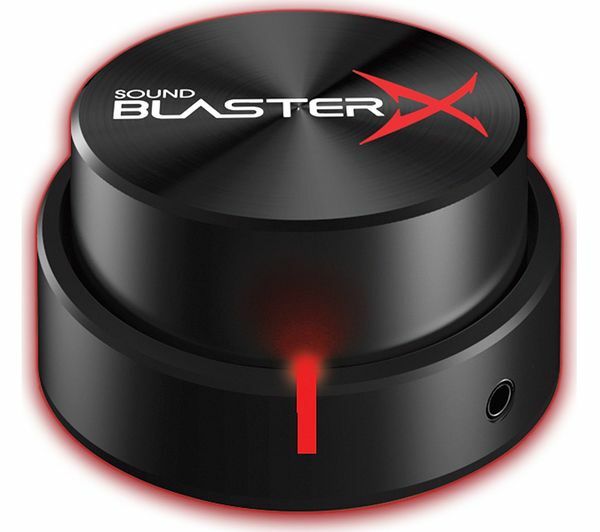 Customise your settings for each game and enjoy immersive virtual 7.1 surround sound with the Blasterx Acoustic Engine Pro. It creates clear sound and boosts the bass so you can get fully immersed in the fun and feel as if you're there amongst the action.